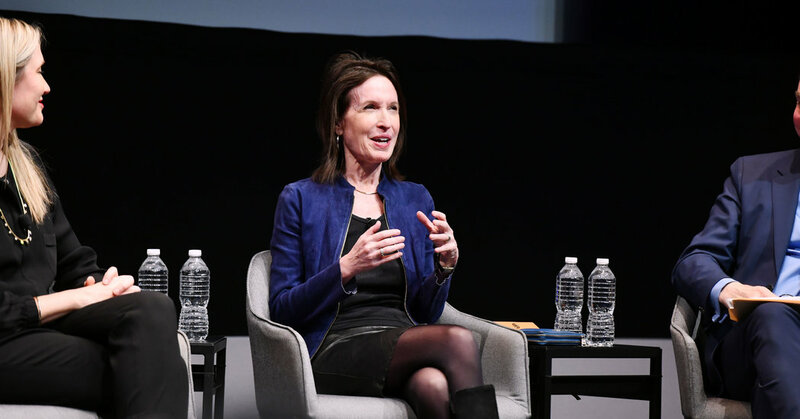 For 24 years, the editor and publisher Katrina vanden Heuvel has been the public face of The Nation, the oldest continuously published weekly in the United States. On June 15, she will give up her job as day-to-day editor, and be succeeded in the role by D. D. Guttenplan, an author long associated with the magazine. The second woman to edit The Nation, Ms. vanden Heuvel, a part owner of the publication, will stay on as publisher and continue to provide advice to the editorial staff as editorial director, the magazine said on Monday. Since its founding by Republican abolitionists in 1865, The Nation has published work by, among others, James Baldwin, Noam Chomsky, Eric Foner, Henry James, Toni Morrison and I. F. Stone. Its circulation peaked at 186,000 in 2006 and has since settled at about 132,000, although its online traffic has been growing steadily. It endorsed Bernie Sanders in the 2016 presidential election. The publication, based in New York, relies heavily on donations and on revenue generated by an events business that includes Nation Cruises, which give devoted readers a chance to hobnob with the magazine’s contributors, including the former editor and publisher Victor Navasky. The next cruise is to set sail in December from Fort Lauderdale, Fla., for a tour of the Caribbean. Ms. vanden Heuvel, 59, was a student at Princeton when she first worked at The Nation as an intern in 1980. She became the weekly’s top editor in 1995, when she and a group of investors, including the actor Paul Newman and the novelist E.L. Doctorow, bought it. The Nation was struggling at the time, with a circulation of 85,000 and an annual deficit of $500,000. By 2005, when Ms. vanden Heuvel inherited the publisher’s mantle from Mr. Navasky, it was turning a profit and had more than doubled its circulation. Ms. vanden Heuvel also has a weekly column for The Washington Post, a board seat at the Institute for Policy Studies and a spot with the Council on Foreign Relations think tank. Her mother, Jean Stein, was an heiress who ran the literary journal Grand Street; her father, William vanden Heuvel, was a diplomat and lawyer who worked with Robert F. Kennedy. Her husband, Stephen F. Cohen, a regular contributor to The Nation, is a professor of Russian studies. Ms. vanden Heuvel said she was most proud of the magazine for sticking to its convictions, including in its stance against the war in Iraq. “At the time, it was a lonely position,” she said. Her successor, Mr. Guttenplan, 61, started at The Nation as a summer intern in 1979. He went on to be its London correspondent in 1997 before assuming his current role as editor at large in 2015. He is the author of “The Nation: A Biography (The First 150 Years),” an authorized history of the magazine.